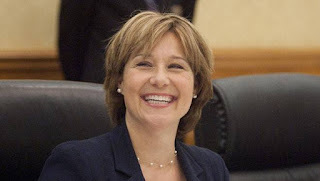 After spending months ignoring the recommendations put forward by British Columbia's Climate Leadership team, Premier Christy Clark has finally found someone to take charge of this very important file. Bad news? His experience includes serving as a director at the Fraser Institute, a right-wing think tank whose experts question the science of climate change. Story here.